How much magnesium in a peel? Does banana tea really work? 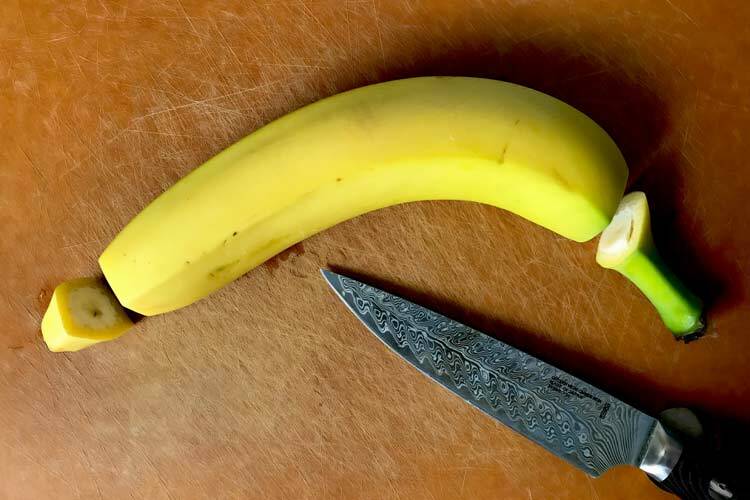 Those who say it’s healthy for you to eat banana peels are only giving you half the facts. Chemicals – Banana extinction, at least commercially for the most popular Cavendish variety, is a real possibility because it’s a sterile plant. They breed it using cuttings, not seeds. 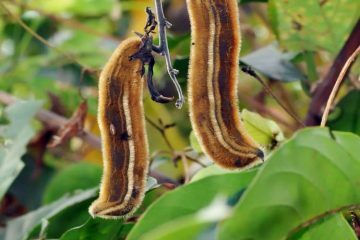 That means there is no genetic diversity among the plants, and therefore, weak immunity. That’s why it’s one of the most heavily sprayed crops. Hard to digest – Stringy and chewy makes them hard to swallow, even if you’re using a fork and knife. 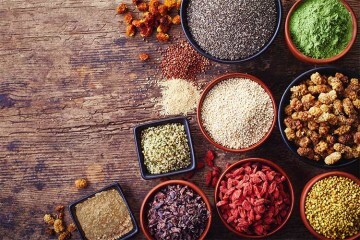 The fiber content of 20-30% by weight might be overkill for those prone to digestive issues, leading to side effects of a stomach ache or worse. Not wonder monkeys don’t even eat them! If you use an organic banana, you don’t have the danger of the peel being soaked with pesticides. The tea is an infusion, so it’s not stringy and fibrous. So drinking it is a safe way to consume it, but what is banana tea good for? 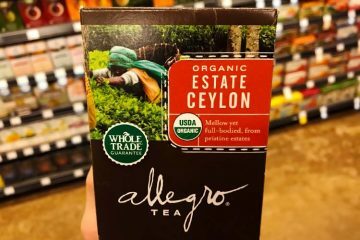 You won’t exactly find tea bags for this niche beverage at the grocery store. 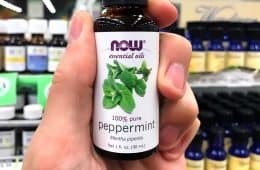 It became a popular home remedy several years ago after the Dr. Oz show touted it as a “bedtime snack” because it’s a “sleeping pill in a peel.” A board-certified sleep specialist presented a similar review of it on the Rachael Ray show. 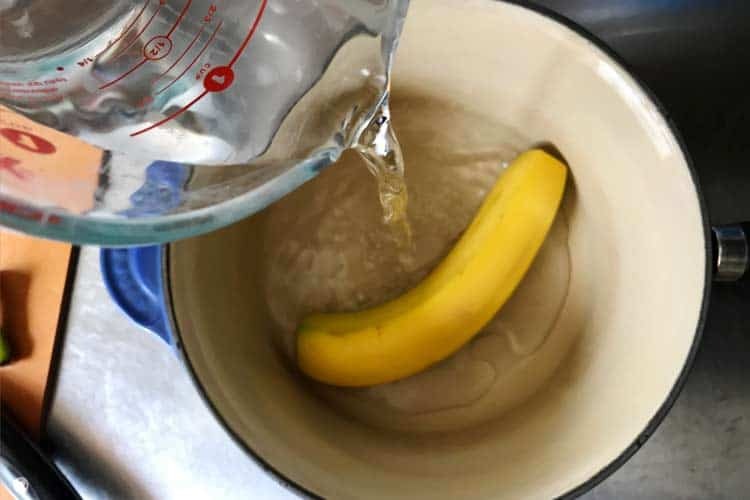 Since vitamin C and other heat-sensitive phytonutrients are destroyed when boiling, the health benefits of banana tea are related to only the minerals. It has been claimed that the peel has higher amounts of magnesium and potassium than the fruit. Since magnesium may help with sleep, the tea is touted as a remedy for insomnia. While some say it’s good for weight loss, there’s no scientific evidence of that, other than the fact that it’s a very low calorie beverage. Does magnesium really help sleep? If so, how much magnesium is really in the peel? Magnesium has been called a “relaxation mineral” because healthy levels have been associated with decreased stress and anxiety. However evidence for excess magnesium helping with stress and sleep is largely anecdotal. Those are the most related human studies published to date. Beyond that, the most compelling “evidence” is merely people who claim magnesium helps them sleep better. 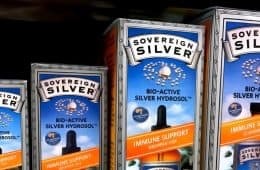 Whether this benefit is true is not yet known, but given the correlation of insomnia with low magnesium levels in the USDA study, it does seem like a real possibility. 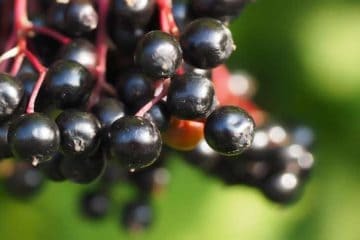 If you want to use this fruit for better sleep, you’re going to have to make it yourself. Banana tea bags are not sold by anyone, at least not yet. Fortunately, it’s a super easy and cheap homemade recipe. The prep only takes a minute. It’s just the boiling which takes a while. 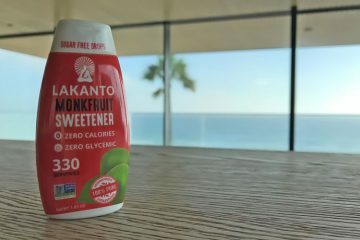 This drink is under 20 calories with 0 grams of fat and very low sugar content. 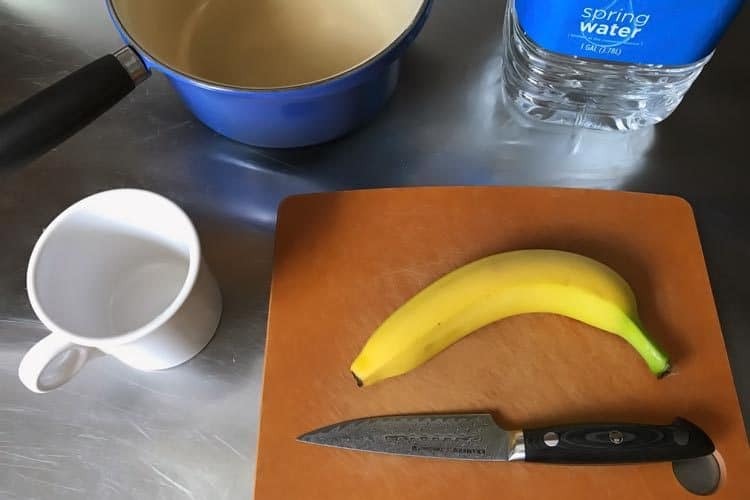 Step 1: Cut the hard ends off your rinsed banana. Step 2: Without peeling, place the whole fruit into a medium sauce pan and pour water on top. Step 3: Bring water to boil. After bubbles begin, set timer for 15 minutes. Step 4: Remove from heat and allow to cool. Step 5: Pour into cup and drink within 1 hour of bed. 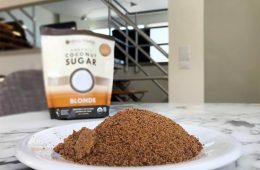 If desired, stir in Ceylon cinnamon to enhance taste. This recipe makes a single 8 oz serving. The other 16 oz of water will have evaporated during the boil. It’s grey-brown color looks gross, but it’s surprisingly palatable. What does it taste like? Banana but without the sweetness. And a muted version at that. Coming from someone who doesn’t necessarily like the taste of banana, the tea isn’t so bad. The big benefit reported by Dr. Oz and The Rachael Ray Show is that the peel contains high amounts of magnesium. 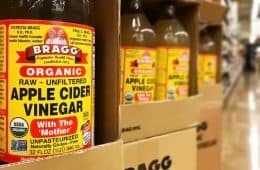 As with the sleep studies, there isn’t good research as to exactly how much magnesium you might be getting from the peel, let alone a beverage made from it. That’s why you see all these media reports say “more” or “high” magnesium without ever quantifying the amount. 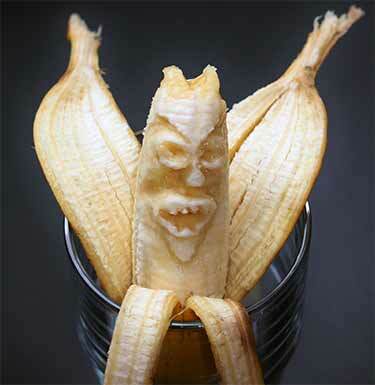 Using dried unripe banana peel meal, it was only 28 mg of magnesium per 100g/3.5 ounces of weight. (6) That’s the same as how much magnesium there is in a banana you eat – 27 mg for the same weight, according to USDA data. (7) Furthermore, that’s comparing dry unripe vs. fresh ripe. All amounts reported are mg of a mineral per 100g of the peel. If you were to get out a scale and weigh a banana, you will discover the edible portion is about 65% of the weight while the peel is 35%. The edible portion of an average medium banana is 118g according to the USDA. (7) That means your average sized peel weighs around 60g. …your average banana peel has only 1.39 mg of magnesium! Probably not. If it does, magnesium is probably not the active ingredient causing drowsiness. 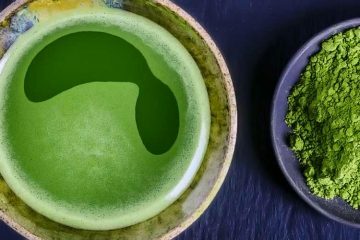 Even if all of the magnesium from the fruit and peel were transferred into the tea, it would only be around 10% of your RDA for the mineral. 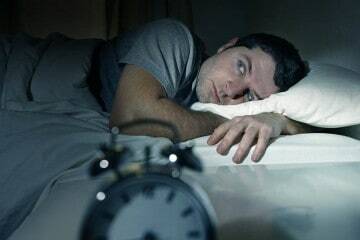 The most likely cause of the positive sleep reviews is the placebo effect; it helps people fall asleep faster, because they think it will help them. And remember since the tea hasn’t ever been clinically studied, it means it may not be safe for babies/toddlers/kids or during pregnancy. If you’re going to try it, you should be an adult man or women without health issues. Ultimately, there is more evidence to suggest this is a myth that belongs on Snopes, rather than a tea that’s good for you. One of us reviewed this remedy and rather than help, it seemed to hurt sleep quality. Not only did he not fall asleep quicker, but he had to wake up to go pee a couple hours later since he consumed all that liquid at bedtime. Using banana tea for weight loss is only helpful if you are using it to substitute higher calorie drinks. 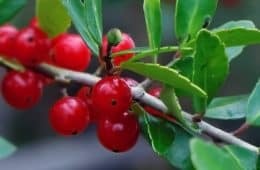 There are no clinical studies to suggest this fruit helps you shed unwanted fat or burn more calories. If you want more magnesium, you would be better off using the right supplement. 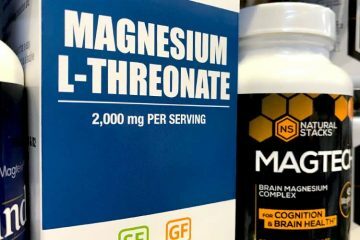 The patented form of magnesium L threonate is the most exciting, since it has been shown to easily cross over into the brain. That’s something other forms like magnesium citrate, carbonate, and other forms haven’t adequately demonstrated in research. On Amazon you can get the threonate brand we like best, which is Life Extension Neuro-Mag. Though “banana tea” does help me have a good sleep, you maybe right about the placebo effect. 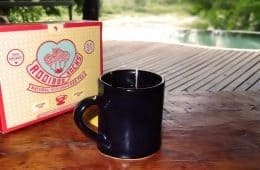 If we are to strongly point out that this is just a placebo effect rather than a real result of the tea itself, then I’d humbly agree and disagree at the same time. The banana tea has given me good sleep only — none of the ill effects. Secondly, for a placebo effect to work, it must be based on something — and that’s the banana tea. Without the banana tea, there’s no placebo effect of good sleep — am I correct. Third, it’s basically only a placebo effect because there is no real clinical study done on it. And moreover, if I get my bananas from the backyard, the better for me — no pesticide. Got lots of backyard grown bananas here where I leave. And it’s cheap too. Banana tea puts me to sleep right away between 15 to 30 min. I mix it with a dash of grinded up cinnamon and almond milk tea. Make sure it’s organic bananas. I’m about to drink one right now, and enjoy my 8 hours. PEACE BE WITH YOU ! WHERE did you get this recipe? 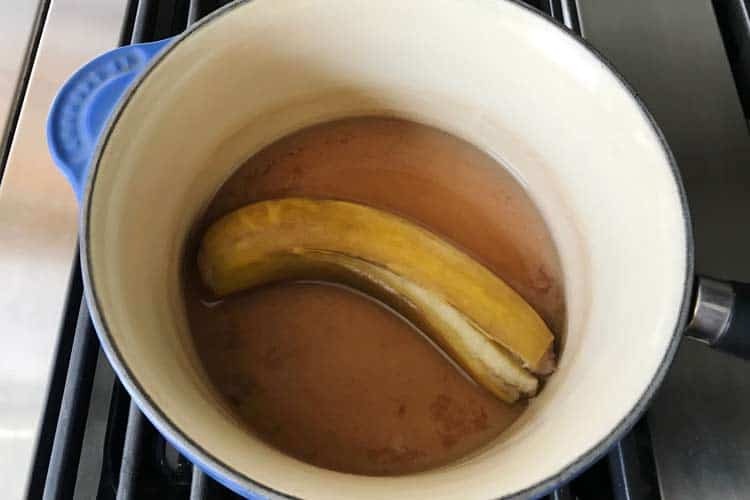 Why on earth would you boil and throw away the whole banana? 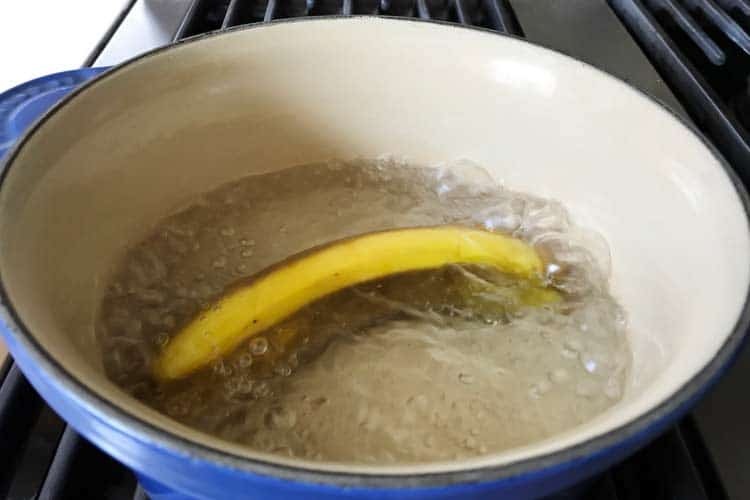 You EAT the bananas and boil the peels! I have to say that I think you’re going at it backwards. 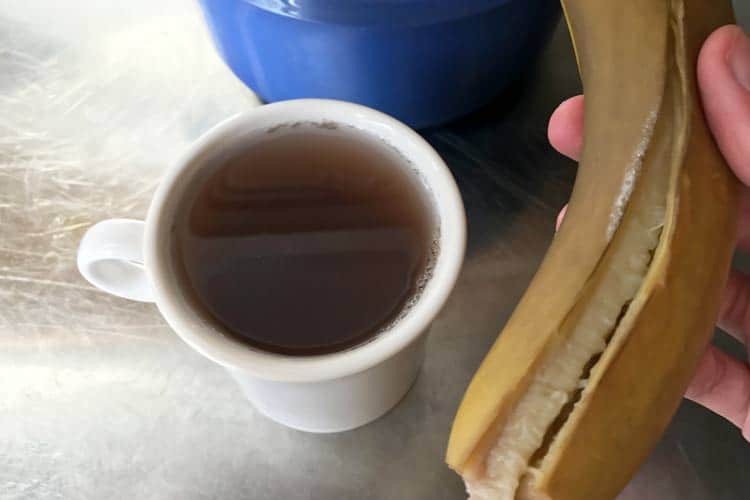 It’s been observed that banana peel tea helps with sleep. The question is why. Minerals is one theory. There may be as yet unknown compounds that account for it. A better way to find out would be to hold a double-blind study to confirm that it does help–then try to understand why. 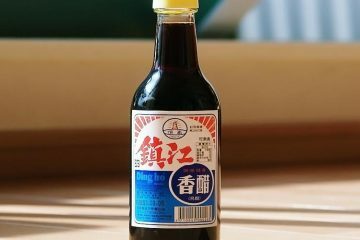 I’m drinking it now. I have to admit, I’m feeling relaxed and sleepy.